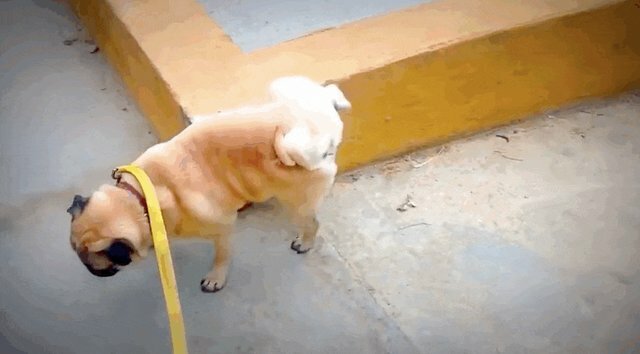 Why Do Some Dogs Do Handstands While Peeing? It's sort of like wearing high heels. 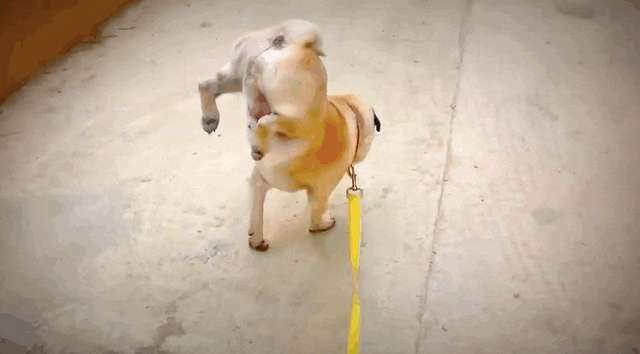 Some dogs do handstands while they're peeing. If you don't believe it, well, believe it. There are all kinds of urination positions man's best friend takes, including "the squat-raise (most common), squat, arch-raise, combination and handstand," a 2004 scientific study frankly states. The "squat-raise" means the dog squats while slightly lifting her leg, while the "arch-raise" means she arches her back while lifting her leg. The study found that social functions and proximity to the dog's home influence the ways in which dogs decide to answer nature's call. For example, "females used the squat-raise and arch-raise postures more when off their home area than when on their home area," the study says. "Overall, there was substantial individual variation among females in the postures used while urinating." But, let's go back to the pressing question: Why, exactly, do some dogs do HANDSTANDS? We asked a few experts - and what we found out gave us a fascinating glimpse into the social behavior of dogs. "Urination is typically a way of marking their turf, and different dogs have different postures they assume to do so," Dr. Rachel Barrack of Animal Acupuncture, a veterinary practice based in New York City, told The Dodo. "Sometimes smaller dogs do handstands, which may be to cover the urine left by larger dogs at higher positions." Katie Armour, project coordinator with the MSPCA Boston Adoption Center, is inclined to agree with Dr. Barrack, while she does caution that her perspective comes from anecdotal evidence. "I have gotten to know and spend time with thousands of dogs in my day and have nary met a pendulous-testicled old Min Pin or Chihuahua who didn't make some effort to get his pee up as high as possible," Armour told The Dodo. Armour said that she sees handstands only from dogs who have not been fixed or got fixed later in their lives. "I think this has something to do with high-ranking males peeing higher up on trees and bushes and on the tops of tall blades grass. I've typically seen this head-standing behavior from smaller, Napoleonic pups who (I believe) are leaving their scent as high up as possible," Armour said. "They're cheating a bit and leading the dogs who smell that pee later to believe they're larger than they actually are." Armour figured out a simple analogy to help us humans understand: "It's like wearing lifts in their shoes!"